The status of Pamela Pedego was verified on 04/19/2019. 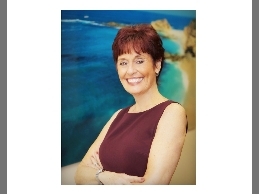 I have been a Realtor in South Orange County since 1978, specializing in residential resales. As a resident of Mission Viejo since 1976, I have watched Orange County grow! Serving on the Professional Standards Committee locally and at CAR for 20 years, I am committed to the NAR Code of Ethics and its implementation. As an active member of the Professional Standards Committee for the Orange County Association of Realtors, I serve as a panelist on dispute resolution hearings, including Arbitrations and Meditations, and I teach the NAR required Ethics class at Orientation at OCAR. I am also a Mediator and Ombudsman for CAR, helping people resolve issues through compromise and problem solving. I have served as Chairman of the Realtor Risk Management and Consumer Protection Forum at CAR, as well as vice chair of that committee, plus vice chair of the Membership and Professional Standards committees. This involvement allows me to remain current on legal and consumer issues. As a Broker/Owner of Regency Real Estate Brokers, I have knowledge of the sales as well as the management sides of the Real Estate Industry. I have been honored by my peers twice as Realtor of the Year, and hold the designations GRI, SRES and SFR. As a Major Donor, I understand the importance of supporting the organization that consistently supports me as a Realtor, and the consumers whom I represent. Professional Development Forum, Regional Rep.